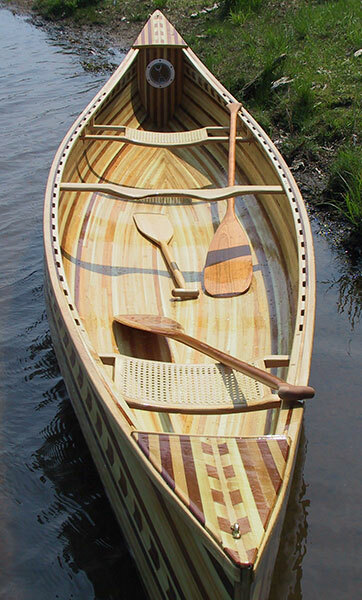 After building a kayak for himself, and one for his son, Geoff Meissner's wife wanted him to build a canoe for her. He picked a Nipmuc kit from Newfound Woodworking. At 17' long and 35" beam, it was big enough to hold all three of them and the dog. Quonnipaug Lake in Guilford, CT, is restricted to boats powered by paddle only. This body of water was the destination on launching day, May 23, 2004. The dog took some convincing to stay seated. 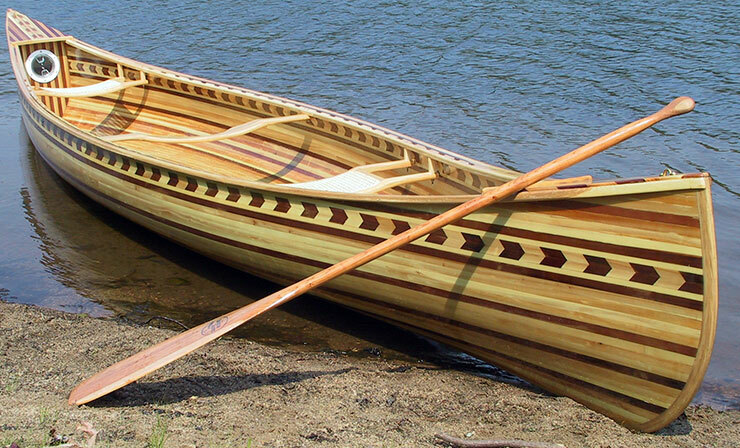 Geoff used cedar strip construction, with a line of arrowhead strips just below the gunwales. You can reach Geoff at geoff8@cox.net.